The exhibit has three components. 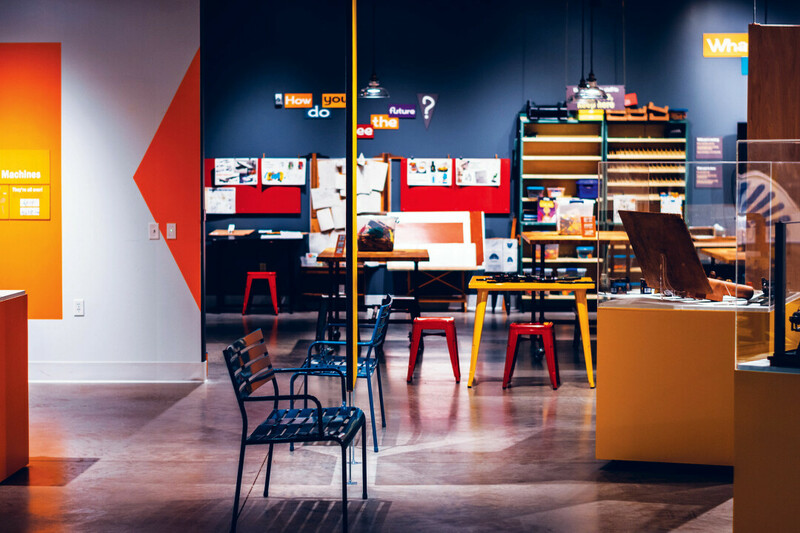 The first is a large space filled with work tables that allow visitors to get some hands-on experience. Kids of all ages are encouraged to draw, make items from Tinker Toys and blocks, or use materials such as cardboard, Popsicle sticks, and cotton to create “make-and-take” projects. The space prompts visitors to think about solutions in new ways. “Kids see with their fingers,” said Frank Smoot, executive director of the Rassbach, and they are encouraged to “see” a lot in this fun and resourceful space. A second area in the exhibit features inventors from Dunn County along with the products they created. In this space, you’ll learn about Harry Miller, who built many of the early champion Indy race cars, and Andrew Tainter, who invented the Tainter’s Gate still used in dams around the world. The 2011 National Collegiate Rube Goldberg Machine Contest winner is on display as well. 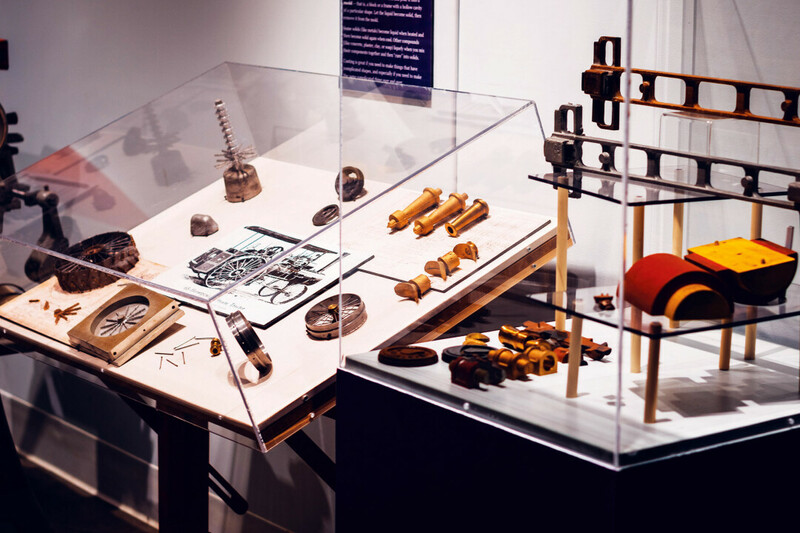 The third section houses a collection of tools and equipment that the late Fulton Holtby, a Midwestern engineer and inventor, gave to Dunn County. Holtby’s work as an engineering professor at the University of Minnesota for 41 years gave him incredible experiences and learning opportunities. He and a colleague developed the first black box for airplanes. He improved heart valve replacements and suture clamps for use in Dr. Christiaan Barnard’s ground-breaking heart surgeries. He was a pioneer in plastics research. He was an expert machinist and wood worker. After retiring, he put those skills to use by becoming an expert witness. He had the ability to explain complex technological concepts to jurors in high-profile court cases. Not content to specialize in one area, Holtby was influential in a variety of scientific fields. He testified about product designs and malfunctions, fires and explosions, patent designs, and material failures. While working as a forensic engineer in the court system, Holtby developed a close connection with UW-Stout. He appreciated its dedication to polytechnic learning. When it came time to pass on his artifacts and information, he chose Dunn County as the lucky recipient. With a gift of $1.8 million and the items from his workshop, he wanted his work to continue to inspire others to tackle challenges with ingenious solutions and solve problems with both old-fashioned creativity and revolutionary technology. Like Fulton Holtby himself, this exhibit is “a compelling mix of history, technology, innovation, and hands-on learning,” Smoot explained. 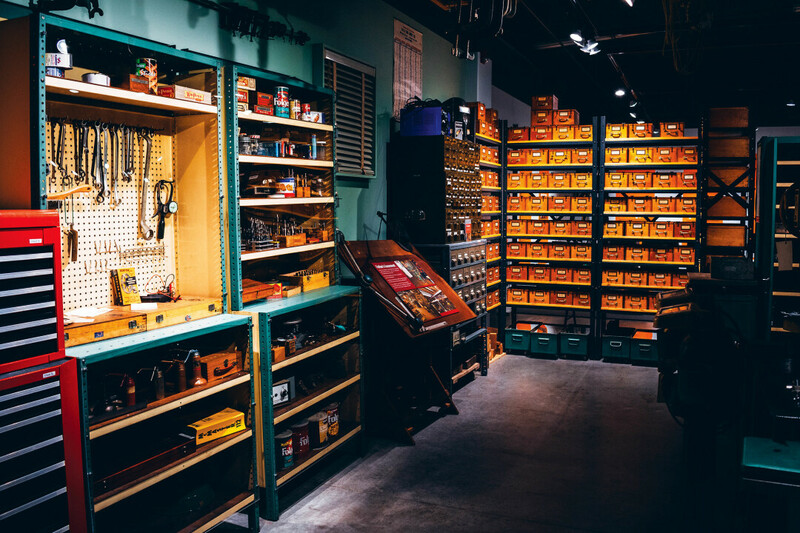 When you picture a workshop, you might envision a pegboard holding tools and boxes of nails and screws. Those are here, but this workshop incorporates so much more. All of his machines are complemented with quotes from people who depended on them for their careers. The machines are in working order and equipped with power. Each of the elegant artifacts has a personality of its own. “The past is an exotic country you can only visit in museums,” Smoot said. In visiting the past in the Holtby exhibit, we can prepare for the future in ways that will produce new definitions for the concept of innovation. The Russell J. Rassbach Heritage Museum is in Menomonie’s Wakanda Park. It is open Wednesday-Sunday. Between May andSeptember it is open 10am-5pm, and between October and April the hours are noon-4 pm. Cost is $5 for adult admission, $12 for a family.